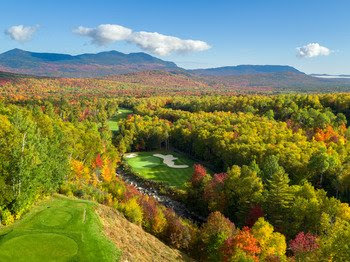 CARRABASSETT VALLEY - While the evidence of winter lingers up on Sugarloaf’s ski slopes, summer has all but arrived at the Sugarloaf Golf Club where preparations are well-underway for the course’s 33rd season. This summer the course will be under new stewardship, following the recent promotion of Jay Lashar to Course Superintendent. Lashar, a native of Carrabassett Valley, has been involved with the golf industry his entire life. He grew up playing at the Sugarloaf Golf Club, and started working there in the summer of 1995. He went on to study Turf Management at the University of Massachusetts Amherst, and graduated with the highest honors. 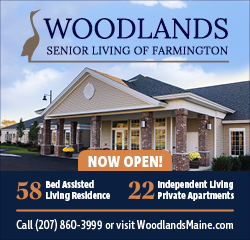 He achieved a Level C certification from the Golf Course Superintendents Association of America, and a Level B certification from the Maine Golf Course Superintendents Association. He has worked at numerous prestigious courses, including the Falmouth Country Club, Samoset Resort and Wilson Lake Golf Course in Maine, Sea Pines Resort in South Carolina, Ocotillo and Pepperwood golf courses in Arizona, as well as Crystal Springs Golf Course and Great Gorge Country Club in New Jersey. Lashar has spent the last nine years of his career at Sugarloaf, which included 4 years as Assistant Superintendent. Despite significant snowfall and unseasonably cold weather throughout March and April, the course has been free of snow of snow and ice for the better part of the last month, and preparations are underway for a Memorial Day Weekend opening. Lashar and his team have spent the last few weeks verti-cutting, aerating, sanding and seeding the greens, and are now focusing their efforts on tees and fairways. The Sugarloaf Golf Club was recognized as the number one golf course in the State of Maine by GolfWeek Magazine for 2018. While a precise opening date has yet to be set for the golf course, the resort’s practice facilities and clubhouse will be open this weekend, May 19-20. The course will also host a Spring Swing Social for members on Saturday, June 9 from 4-6 p.m. featuring complimentary cocktails and hors d’oeuvres for members plus remarks from General Manager Karl Strand, Head Golf Professional Zach Zondlo, and new Course Superintendent Jay Lashar. For more information on the Sugarloaf Golf Club, please visit www.sugarloaf.com/summer. Congrats Jay - The course has come a long way under Shaun Osborne's watchful eye! I know it won't miss a beat with you as his successor.